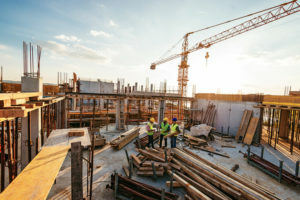 Every stage of a construction contract has the potential to raise significant legal questions, including issues like how to draft a contractor agreement, how to resolve a construction defect dispute, and how to foreclose on a mechanic’s lien. California construction law requires legal skill, experience and a thorough understanding of how a construction site and project really function. 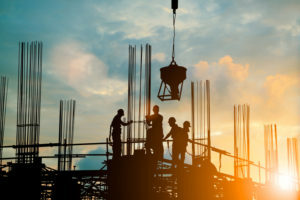 Construction law is about establishing clear understandings regarding what is going to happen, the role of each and every party, the benefit of the bargain for each and how disputes will be efficiently resolved. At the Watkins Firm, our attorneys are well-versed in California construction law and prepared to guide clients through effective transactions which are carefully crafted to ensure the greatest opportunity for success. When a dispute arises, the Watkins Firm understands the impact of a dispute in both time and money, and works to quickly and cost-effectively resolve these disputes. To schedule a free, no-obligation consultation, contact us at our offices in San Diego or call 858-535-1511 to speak with an experienced San Diego construction law attorney for a free consultation. Construction defect litigation: We represent developers, contractors and property owners in litigation over alleged latent defects in construction. If you are experiencing subsidence, water intrusion or other symptoms of potential construction defects, or if you have been named in a construction defect claim, we can help. Contractor disputes: Conflicts between general contractors and subcontractors or among subcontractors can have a major impact on all parties involved, including the property owner, leading to delays and cost overruns. Our firm moves quickly to effectively address construction contractor disputes. Mechanic’s liens: When construction contractors and subcontractors do not get paid, they have the option under California law of filing mechanic’s liens on the properties in question. Our attorneys handle the processes of filing and foreclosing on mechanic’s liens. We are familiar with all relevant aspects of California construction law and closely related areas of law such as contract law. We respect our clients’ bottom lines by developing personally tailored litigation plans focused on pursuing their desired results efficiently. One way to avoid litigation is to have an experienced lawyer draft and negotiate documents such as architect agreements, engineering and design agreements, purchase orders, payment and performance bonds, consulting agreements and construction management agreements. Construction contracts are extremely complicated, and the standard form contracts that are publicly available may require substantial revision before they will meet your needs. Whether you are a property owner, developer, general contractor, subcontractor, investor or other party to a construction project, don’t hesitate to contact us to discuss how we can help you pursue your goals and protect yourself from unnecessary liability.